Visit the Isle of Wight in style and camp amongst the rare and exotic plants at Ventnor Botanic Garden. 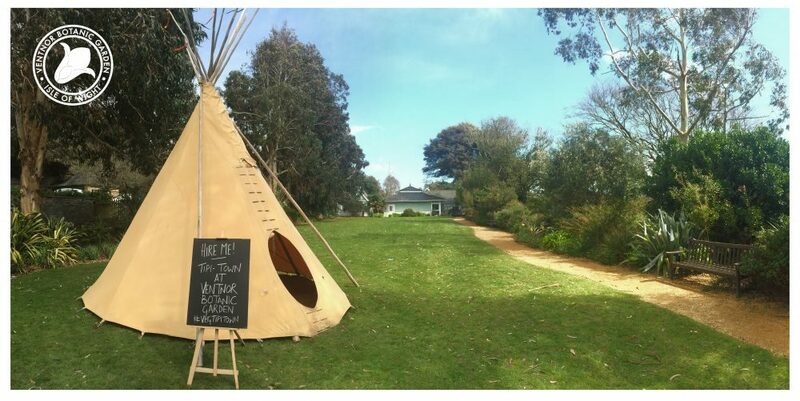 Whether you stay in one of Ventnor Botanic Garden’s Tipis or pitch your own tent, you’ll discover an experience like no other. Ventnor Botanic Garden, nestled in the heart of the Ventnor Undercliff and its special microclimate, provides a great setting for a camping week or weekend – right on the Isle of Wight coastal path, near Steephill Cove, and in 29 acres of subtropical plants and nurseries. Free admission to ‘Britain’s Hottest Garden’ is included with your booking. Discover for yourself why VBG manages to grow in the great outdoors plants that other UK gardens have to keep in their greenhouses. VBG’s authentic Sioux Tipis offer a tranquil retreat in style perfect for couples and families alike. Why not let us do the hard work for you and arrive to find your tipi set up, ready and waiting for you. So all you need to do is unpack the car and head off to explore your new surroundings and get to know the neighbourhood. Come and pitch your tent (or tents!) in the Upper Nursery close to the Glasshouses and the gardener’s potting sheds. With views that stretch across the Garden and over the English Channel this really is one of the most picturesque spots to camp on the Island. No matter whether you choose to glamp or camp, the price includes full use of Ventnor Botanic Garden during your stay – guided walks, Tunnel Tours, play-park and the award-winning edulis Restaurant. You can also visit our Mushroom Chamber or visit The Hub to learn about the Garden. Pop into the Plantation Room Café for a loose leaf tea, barista coffee or light snacks at anytime. Electric Vehicle Charging points available.